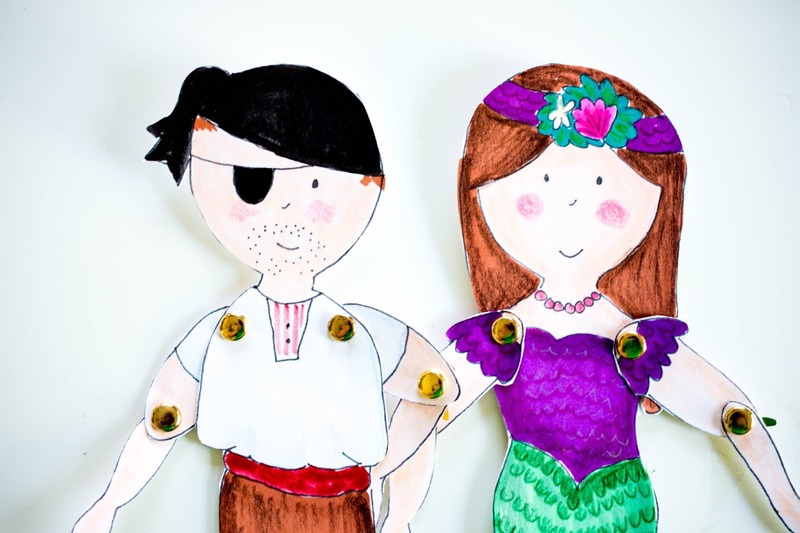 Snugglebug University: Mermaid and Pirate Puppets--Plus all the Details of Ellie's Mermaid Birthday Bash! 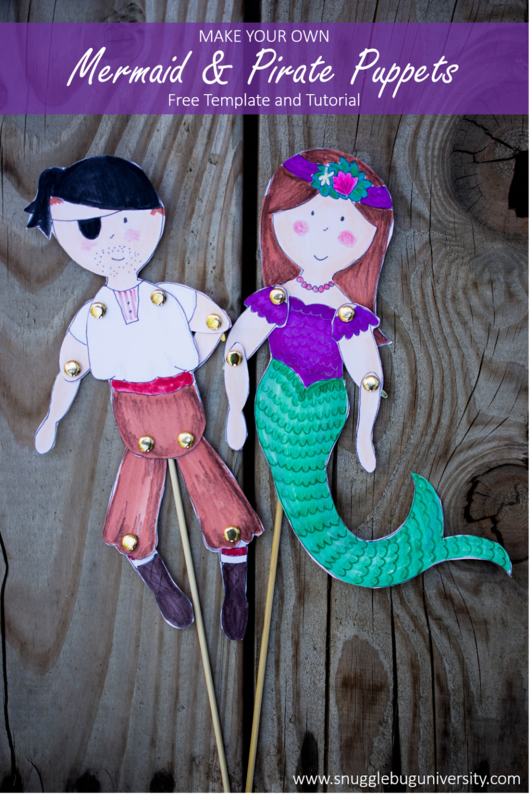 Mermaid and Pirate Puppets--Plus all the Details of Ellie's Mermaid Birthday Bash! The last few weeks I have been in major birthday planning mode! 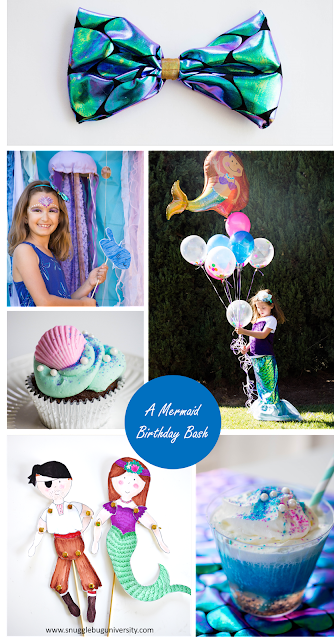 I mentioned a while back that Ellie asked for a mermaid party...and we had it this past weekend. I was really not good about taking pictures during the party...too many faces to paint, and kids to keep track of. So I just made this round up picture to share with you... You'll recognize the mermaid bows, the photobooth with jellyfish decor, the mermaid drinks, and today I'm going to share with you the how to for the puppets!!! 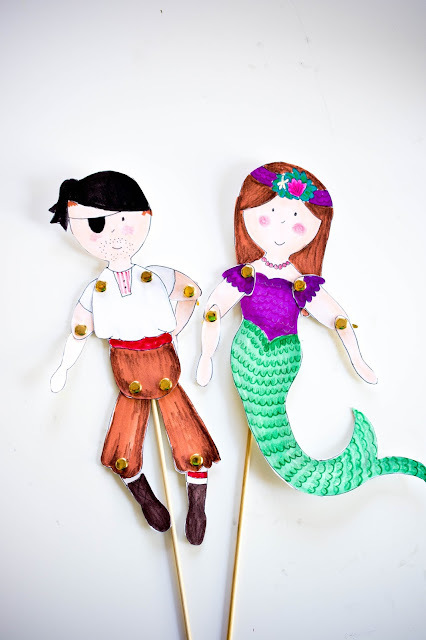 One of Ellie's requests was for me to make her some mermaid and pirate puppets for the kids to put together. 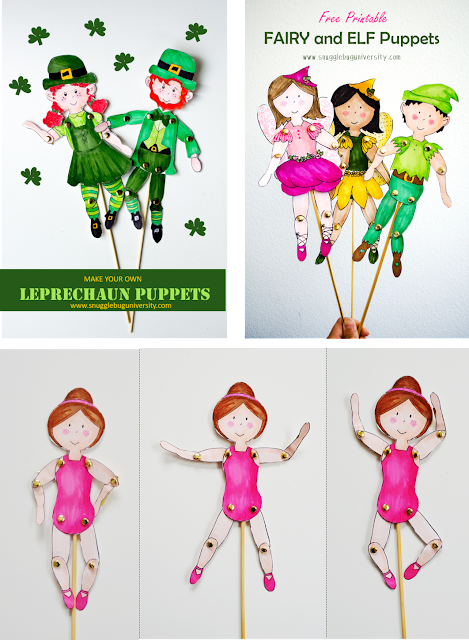 You know that I've made a lot of these puppets over the years...Remember these? We've made leprechauns, fairies, elves, and a ballerina! 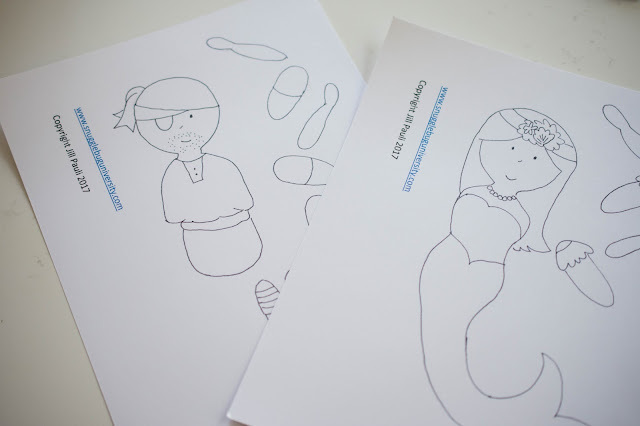 I show you all the "colored-in" versions that I made for my kids, but remember that the templates I provide are actually empty...so you can color them in however you'd like! Today I'm going to share with you a new template for mermaids and a pirate!! 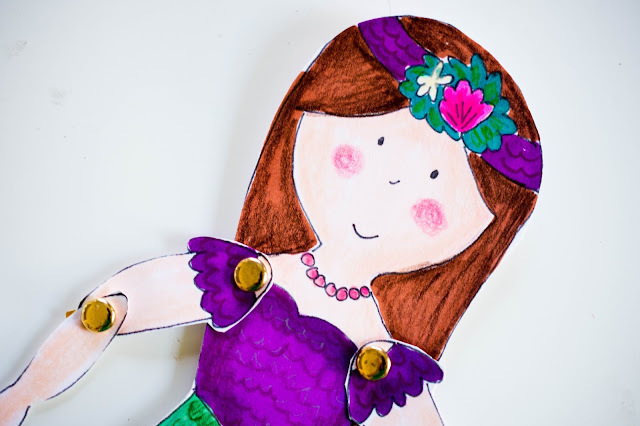 Ellie wanted the mermaid to look just like her...I did my best! 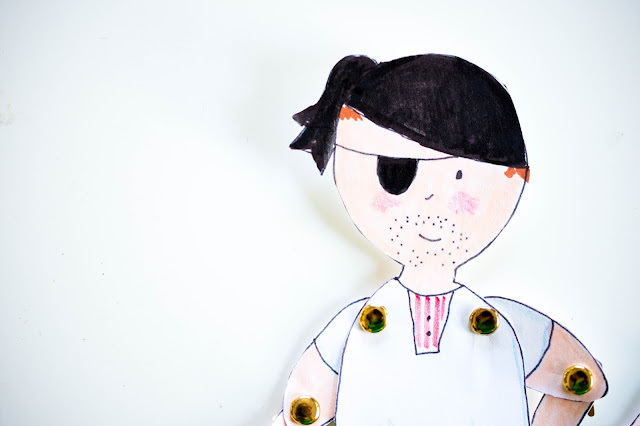 I hope you can use the template that I provided to create a puppet that looks just like your child! 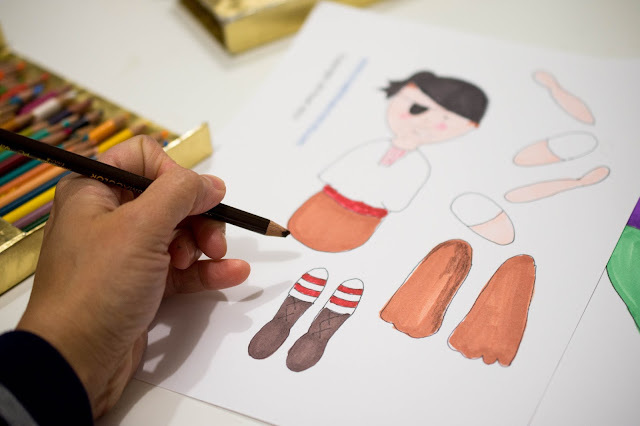 Or even better, let your kids make a version for themselves! 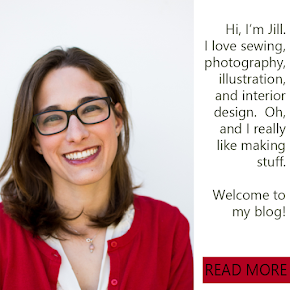 Alright, are you ready to make some puppets? Let's get started! Begin by printing out the template onto cardstock. Color the template in however you like, and then cut out the pieces! Use your brads to attach the arms and legs. And that's it! I hope your kids like these new puppets as much as my kids do! Have a great week everyone!! Such a talent all of these designs are very creative amazing i love it. Keep it up.